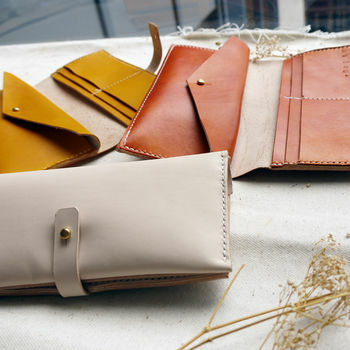 A great purse, with lots of compartments for the fashion conscious, and those who like to be individual. 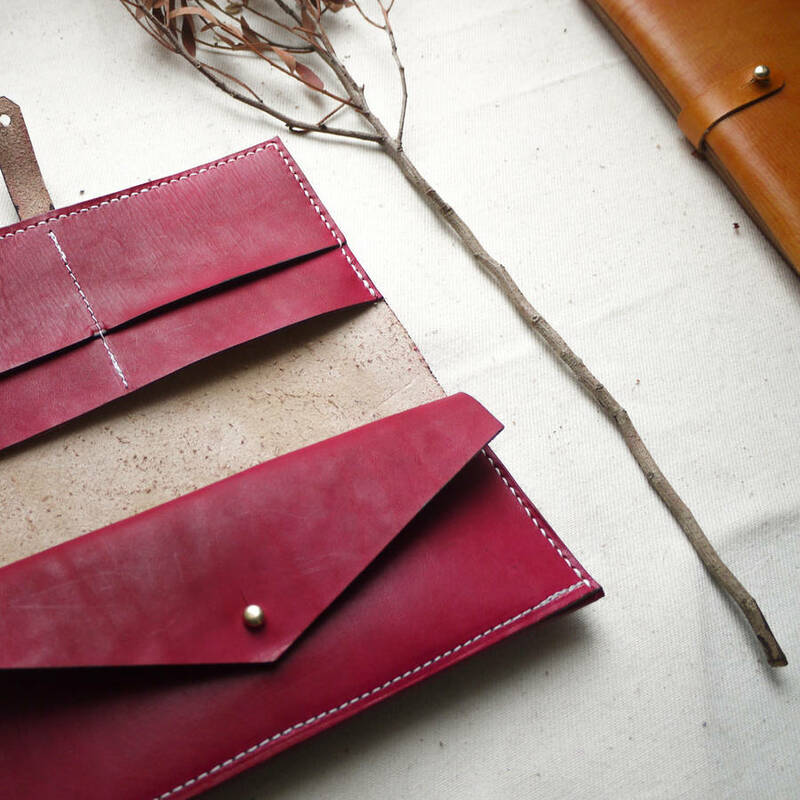 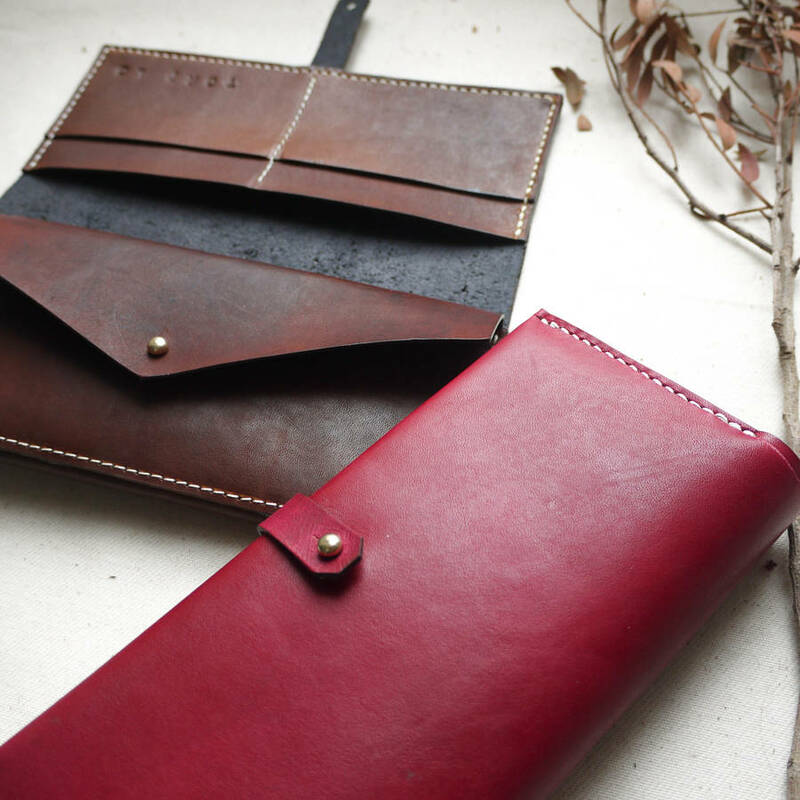 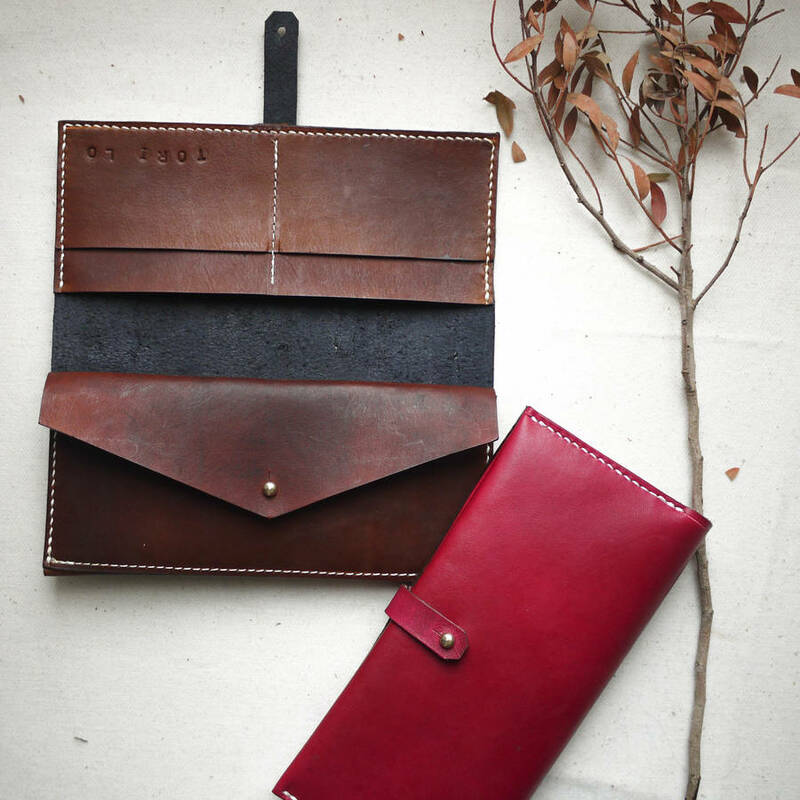 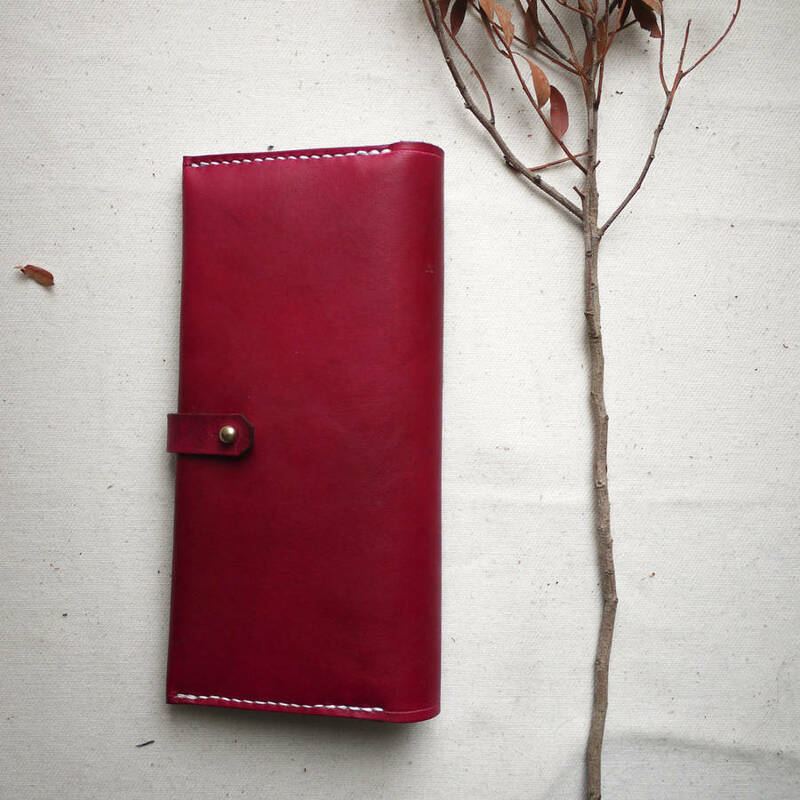 This functional Bi-fold purse is made from a high graded natural vegetable tanned leather, hand-dyed, and hand stitched using waxed linen thread. 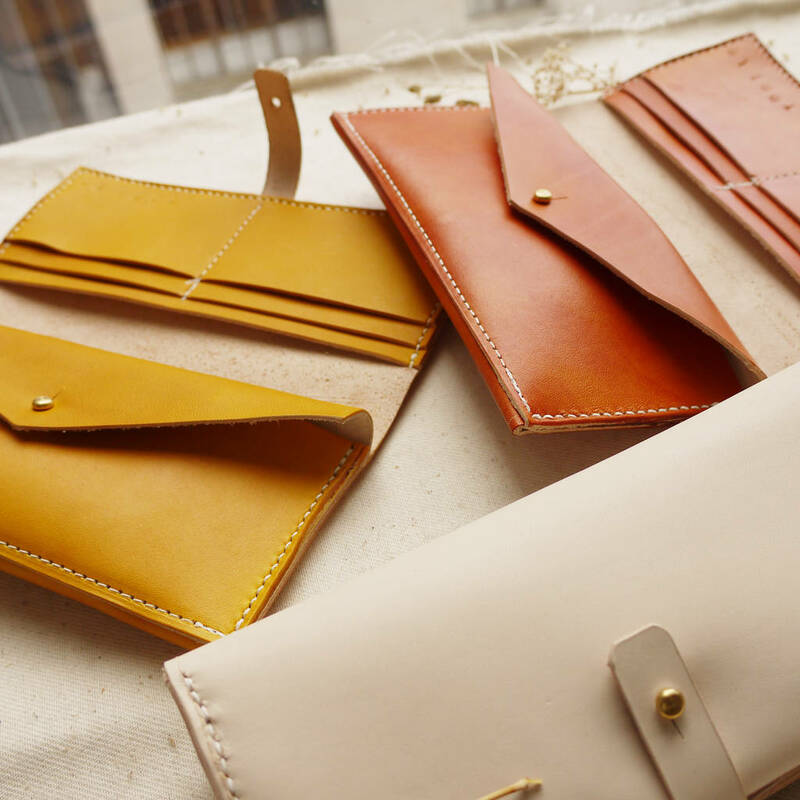 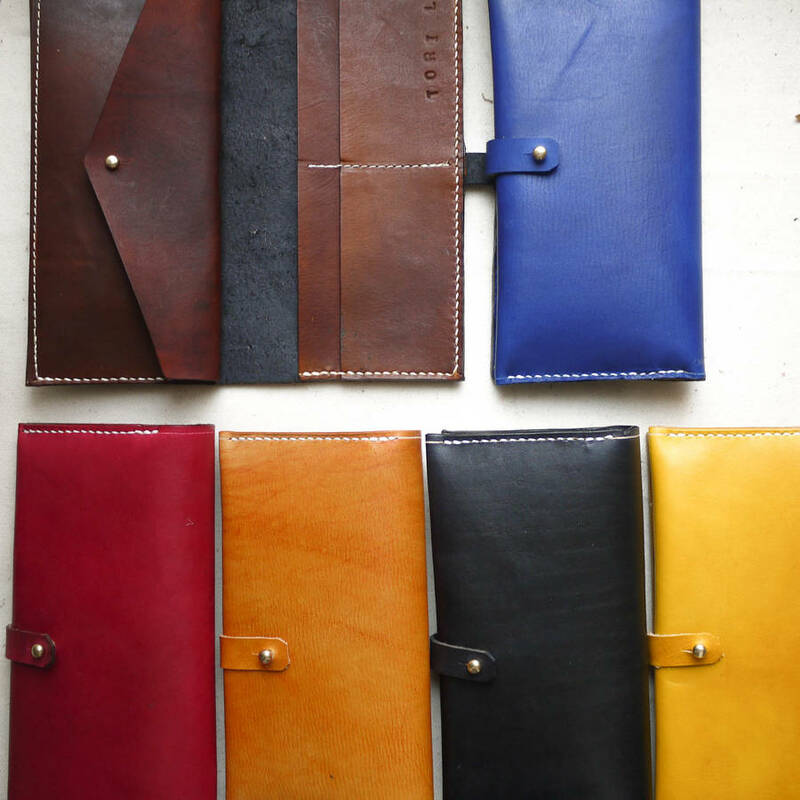 Many compartments for cards, coins, notes and even a small mobile device.Hand cut, hand dyed, finished and polished in a weather proof conditioning cream.Purse is fastened with brass sam browne studs. 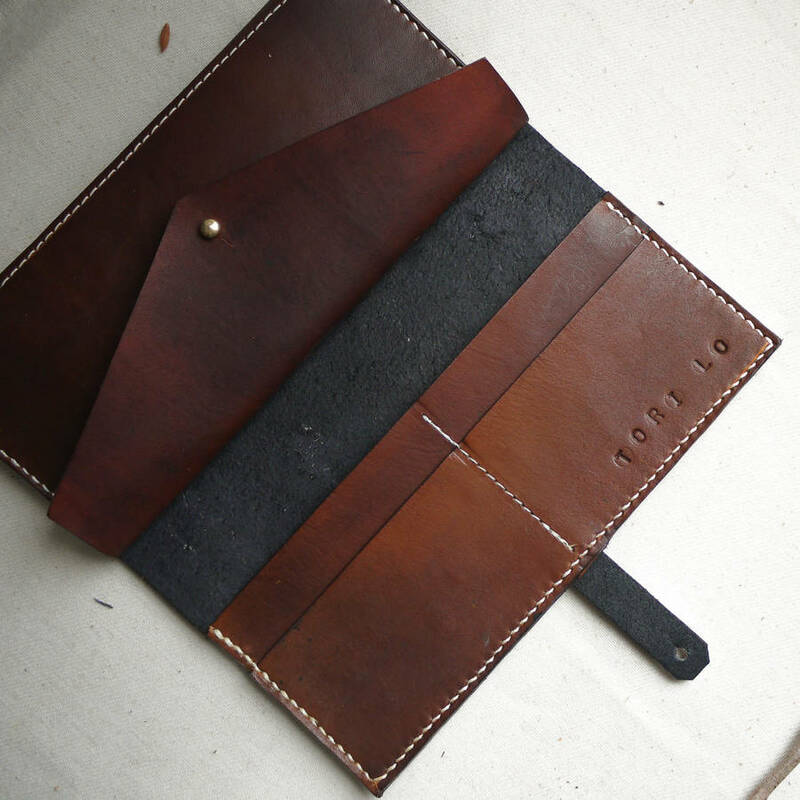 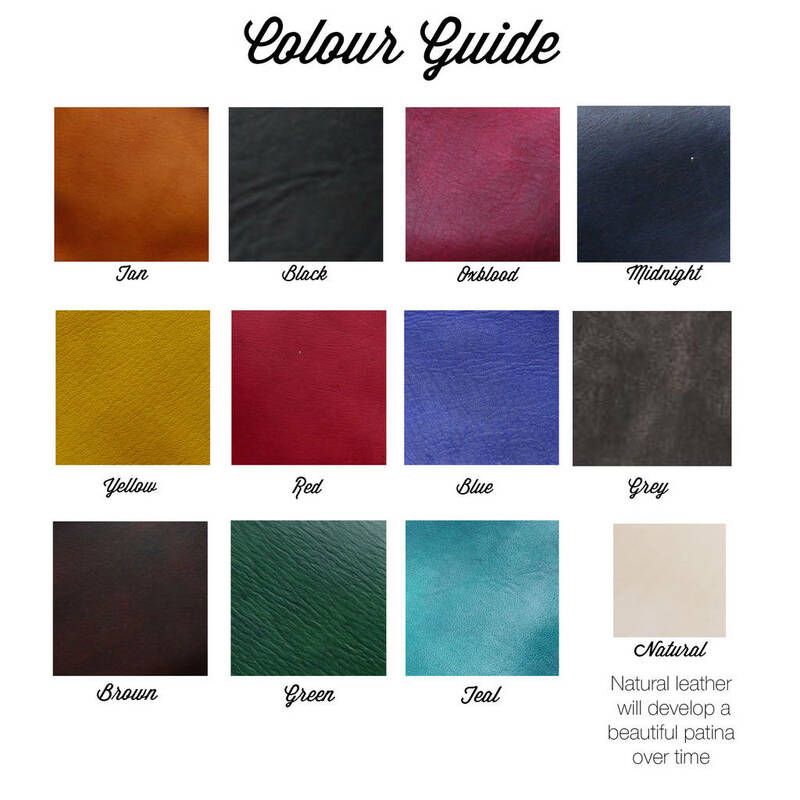 The natural properties of the veg tan leather means this purse will age and darken to develop its own unique patina over time. 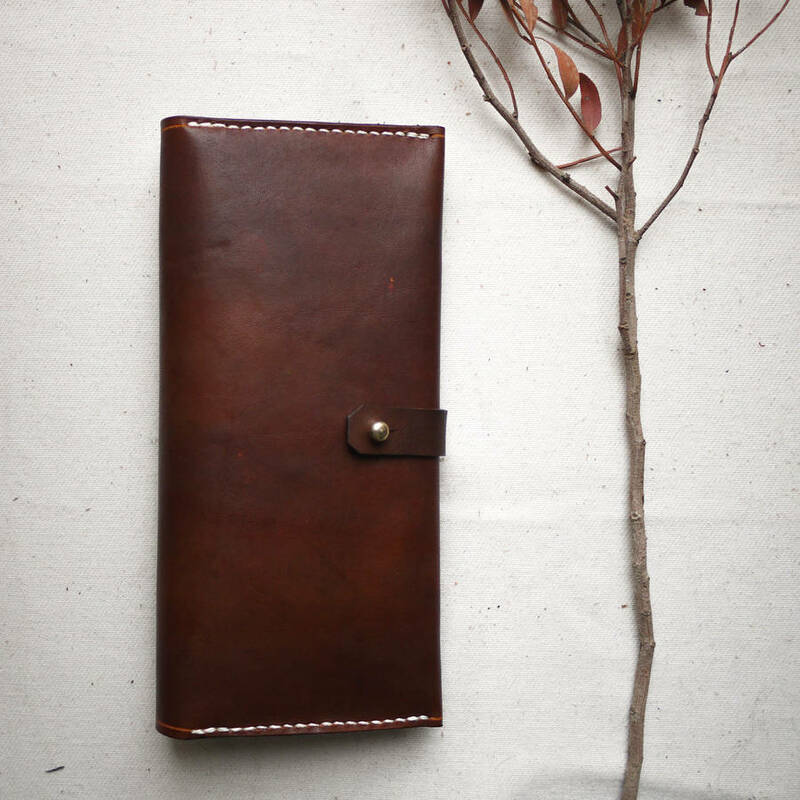 Hand sewn with waxed linen thread, made using 2mm natural veg tan leather.